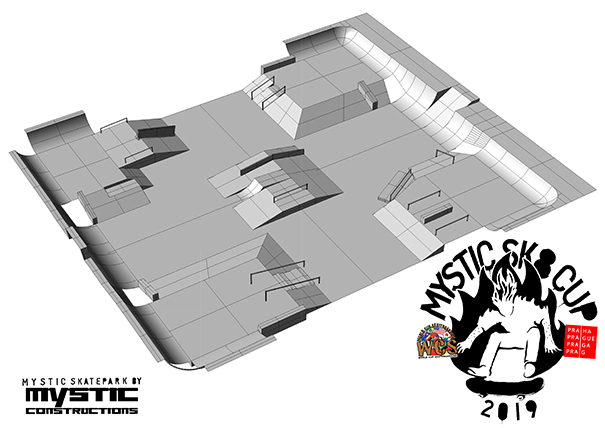 The skatepark by Mystic Constructions features a four technical corners and the central pyramid. 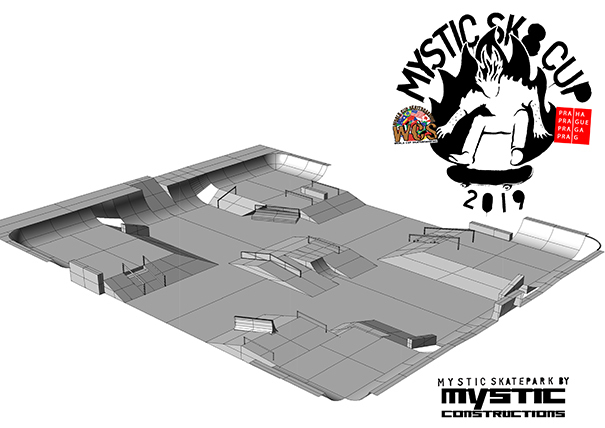 Every corner will offer different obstacles which simulate everything you can ride on the streets, from difficult stairs and rails to gaps, boxes and bangs. The roof shaped central obstacle is also set up with rails. 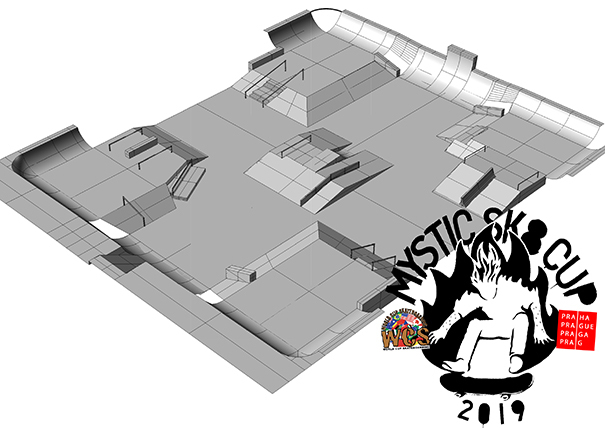 The riders will be able to gain speed using transitions which will be all around the skatepark, offering a smooth and flowing terrain.